Turkey case studies: we currently have 9. 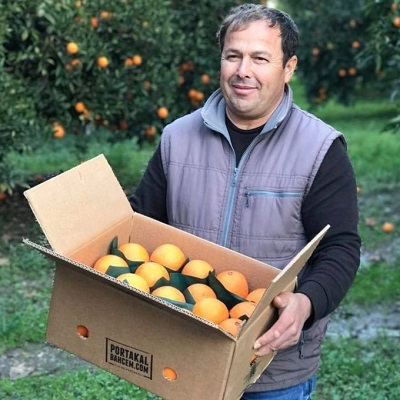 Online fruit seller Portakalbahcem.com s used the carousel ad format and the Facebook pixel to retarget customers and drive sales of fresh citrus fruits from its family garden—resulting in a 35% increase in turnover from the same month the previous year. Beer brand Efes teamed up with Shazam in Turkey to create an emotional link with its fans. The new brand, called “Müzik Bu Kapağın Altında" - literally “the one with music under its cap” reached 4.5m users who collectively turned in 10 million Shazam sessions. Music is Under This Cap - Shazam from Instant DCPC on Vimeo. For its “Who Does More?” campaign, deodorant maker Rexona spread its tag line across multiple channels to encourage its target audience to be more active. The brand developed a second-screen experience for Turkish Survivor fans, letting users follow and compete with the contestants’ performance data, getting a turnover growth of 20% in the process. This year’s Grand Prix winner of the Cannes Lions 2015 Media category was Vodafone for their red light app. The secret app was disguised as a flashlight and enabled women in Turkey to ask for help when they were in danger of domestic violence. In a wildly popular commercial for Turkish Airlines, two of sports" greatest stars-Kobe Bryant and Lionel Messi-vie for the attention of one starstruck kid. Following on its success, the company created a new YouTube ad called "Kobe vs. Messi: The Selfie Shootout" to continue increasing brand awareness in Europe, North America, the Middle East and the Far East. The spot was another huge success: It became one of the fastest spreading commercials on YouTube, with 77 million views in just one week, and was one of the most popular ads of 2013. A smart example of blogger engagement marketing strategies, low cost online PR that gets bloggers authentically engaged with the brand. 86 of Turkey’s top bloggers were sent a direct mail piece modelled on a bathroom cabinet. The brand variant was that the shave was so comfortable it would let guys minds wander, so they created a web page where people could write their thoughts. All that was needed was a single laptop prize, and the creative energy among the 86 had led – in just 10 weeks – to 1.3m unique visitors to the new website, and 44 active bloggers. This on-street campaign from Cornetto in Turkey raised awareness of Unilever's Ice Cream brand with a game that was playable via projection mapping over 3 days, in a central square in Istanbul. The interactive game was playable by passersby who had to call a number to enter, which then enabled them to control a character within the game using the keypad on their phone. The game was only playable by 5 people at a time, encouraging people to watch the action while they waited their turn. If the player is successful, they get a code to redeem for a free ice cream.